Anyway, Phelpte, Phlochte, it boiled down to the same thing: Phelps finished second in the 100 butterfly, perhaps his signature event; sixth in the 100 back and seventh in the 100 free. Lochte was second in the 100 free and third in the 200 back. The only time the old rivalry kicked in was in the 200 IM, in which Lochte bested Phelps, with both posting among the fastest times in the world this year. They didn’t race next to each other, however, in the center of the pool, eyeballing each other as they used to, matching stroke for stroke, breath for breath. Instead they were in outside lanes, where mere mortals dwell. Bottom line: They qualified for the Pan Pacific Championships this month where anything can happen. But it’s not quite the same, is it? There’s been much talk about both being on the comeback trail, Phelps having grown tired of retirement (boring, isn’t it, when you don’t really have anything to do) and Lochte coming back from a knee injury sustained improbably – or maybe not so improbably when you’re Ryan Lochte – as an overly excited teenage girl ran into him. But face it, they’re not kids anymore. 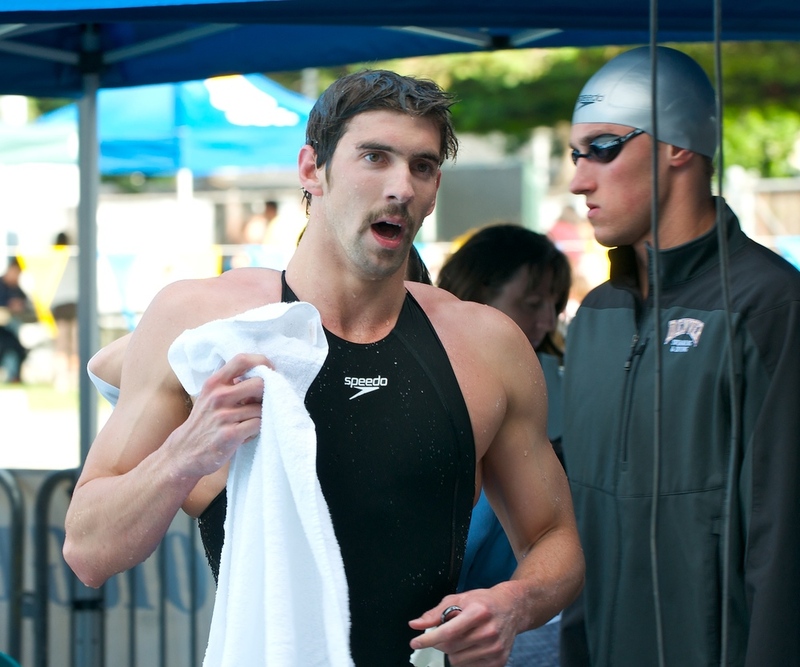 (Phelps is 29, Lochte a year older.) And the young guns are coming on strong. Much has been written, too, recently about the roles that talent and practice play in performance, with the Malcolm Gladwell types coming down on the side of single-minded preparedness while others think it’s all about talent. Certainly, Lochte’s not yielding. He took the medal stand in shimmering green high-tops with wings, as if he were Mercury, the fleet-footed messenger god.